Today I just splurged and picked up the new Boss RC-300 for use with my keyboards and guitar. It’s selling fast here in Japan and the store I nearby was holding one for me so I thought I would jump on it while it was available. I haven’t fired it up yet, but the looks of it is very similar to the Boss RC-50 in size. I really don’t think it’s all that big but I’m speaking from a synth player perspective. I know guitarists fill up floor space more so it’s more of an issue. I have the Boss RC-50 and use it quite a bit but I just had to get this especially after the review on youtube posted below. There are some features that I really am craving for and I think the RC-300 will due just the trick. I’ll try to post both a comparison between the RC-50 and RC-300 plus post a video perhaps of how I use it with keyboards. Stay tuned! 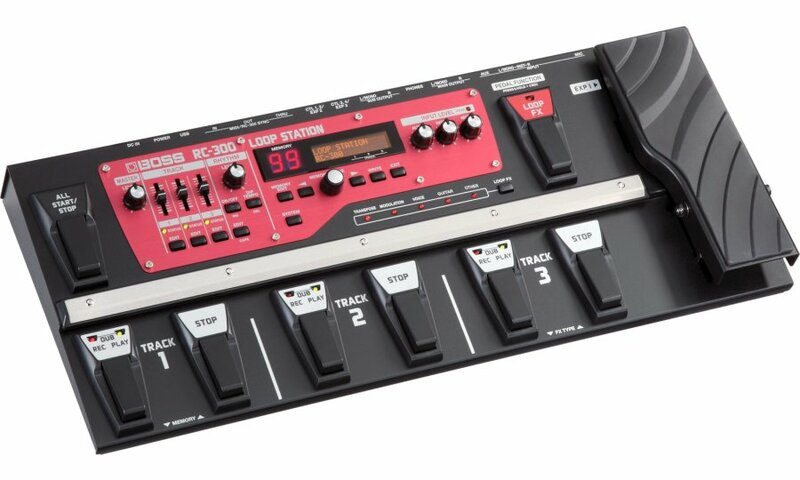 The Boss RC-300 Loop Station offers a lot of dynamic flexibility. I’m really looking forward to working with it and seeing how it compares to the Boss RC-50. 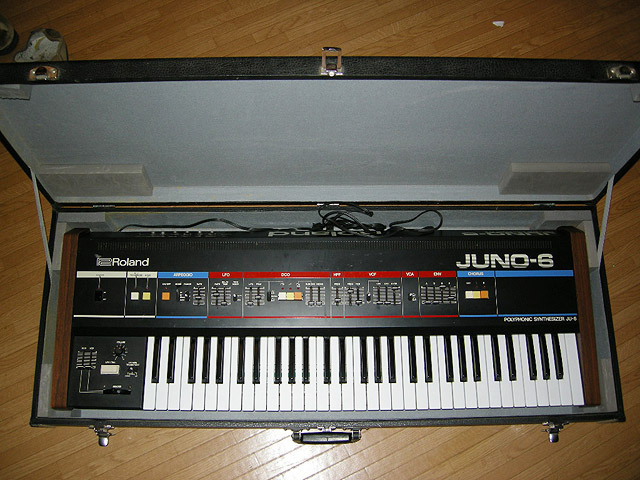 I may even try and midi up my Boss RC-50 with the RC-300 to see if it syncs well. There could be lots of possibilities there. UPDATE #1: I’m really loving the Boss RC-300. It’s super simple to use and sounds fantastic. Each of the three pedal groups can be individually controlled which I really like. In each group if you press the left pedal for 2 seconds you can undo the last loop or overdub you created. If you press down for 2 seconds again it brings back the loop you erased. The right stop pedal stops the loop for that group, but if you also hold it down for 2 seconds or more it will delete the loops in the group entirely. This is easy for deleting loops. Be careful though! If you accidentally step on the wrong pedal for longer than two seconds you can delete your loop. I did this once already. Otherwise, this separate group functionality is really easy to use. Note that I use the Boss RC-300 for keyboards and it works really well. I sync the RC-300 with either my Korg EMX-1 or ESX-1 and then I have three loop tracks for additional sounds. It’s amazing what can be done now with all of this looping technology. Today I picked up a mint conditioned Boss RC-50 Loop Station at a nearby used music shop for $250. The only thing missing in the package was the CD-Rom and manual which is the reason why the salesman knocked off quite a bit from the original price. It’s amazing they do that because anyone can simply log onto the internet and find that information. They really reduce the price greatly no matter what’s missing it seems. Of course thats great for getting a reduced price on some nice music gear. For a while I’ve had the urge to get a Boss RC-50. I’m a big fan of looping, originally with my guitar, but lately with sythesizers and keyboards. I’ve worked with the Boss RC-2, RC-20, Gibson Echoplex, Lexicon Jamman, and most recently the Digitech Jamman Solo. Both the Jamman Solo and Boss RC-50 are stereo. In Japan, the Boss RC-50 has always been very hard to find for anything except paying the retail price of $500. I figured when I saw this unit for half that I realized it was probably now or never. The Boss RC-50 has lots of problems I’ve heard, namely with midi sync and any sort of tempo adjustment. With my experience using the Gibson Echoplex, I find that you most likely will have to use the Boss RC-50 as master in order to resolve most sync or midi issues. The ONLY looper I have ever used that worked flawlessly with midi sync as both slave or master was the Lexicon Jamman. The Lexicon Jamman is “the best” with regards to midi sync as far as I’m concerned. However, linking all my synthesizers up to midi is not what I am interested in right now. The main reasons for acquiring the Boss RC-50 were several. 1. I like the fact that it’s stereo and that the sound quality is very good sonically. 2. I think the 24 minutes of loop/sample time is adequate for my live looping situations. 3. It’s relatively easy to transfer WAV files to/from the computer via USB. 4. Surprisingly, the footprint of this pedal board is smaller than expected. It’s not bad. 5. Using the Boss RC-50 in multimode with three tracks playing simultaneously is fantastic and probably the main reason why I bought it. With regards to midi and adjusting tempo, I don’t really need to worry about that. I also do not have any issues with timing when playing by myself or with others. I don’t know why, but I don’t seem to have timing issues in or outside a band like some people do. Finally, I have heard great things about looping with Ableton Live. It’s probably the best way to loop “IF” you are into computers and are they type that doesn’t mind lugging your computer gear on stage and configuring it. Some people really have a system down. I am old school perhaps and I also work everyday with computers on the job, so I prefer to work with dedicated hardware at the moment. I don’t deny though that Ableton is likely the best solution if you want a ton of looping features. The Gibson Echoplex is great too by the way if you can still find one. It’s a mono looper though. For small footprint guitar pedals, the Digitech Jamman Solo and Boss RC-2 Looper are great devices. I have both and they are great tools. I haven’t tried the Line6 M9 or M13, but I’ve heard they are great basic loopers as well. Roland I noticed has a countdown happening on their website, so maybe we’ll see an update to the Roland Looper line within the year or early next. 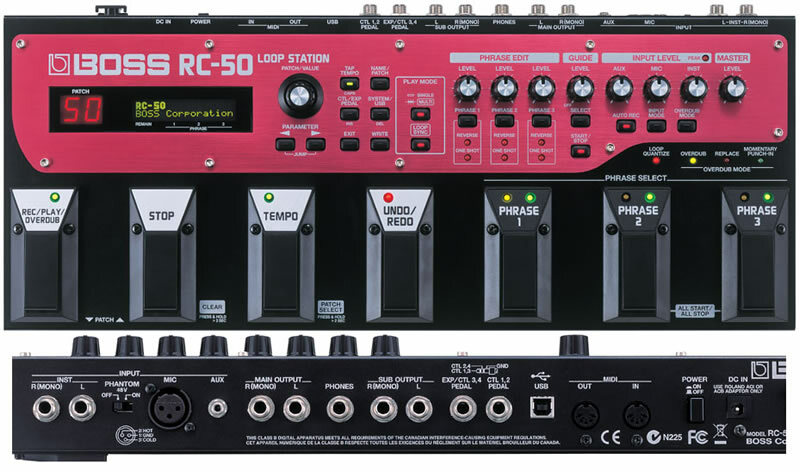 For now though, I’m having a blast with the Boss RC-50 Loop Station with my Synth and keyboard gear. It’s easy to loop a quick drum track and throw a bass line on top of that. Then it’s great fun to kick in with a rhodes sound and practice away. I practice a lot of jazz, funk, rnb, and gospel progressions on the keys, so it’s fun to lay down a groove to practice my chords, runs, and movements with each style. While sequencing is certainly possible, I sometimes just prefer to loop sections using the Boss RC-50 now and jam on that for a while. I can also save the WAV phrase files for later if I happen to like the groove and wish to develop it further into a song. It’s great fun. Note: If you’re not reading this from jimatwood dot wordpress dot com, then this article has been scraped. It appears lots of articles from WordPress are getting scraped all around the internet. Hop on over to jimatwood.wordpress.com for the original article. Thanks!